Today is Guru Rinpoche day. Yontan, Matteo (American practitioner and student of Sogyal Rinpoche) and I went to Kanjanaburi. 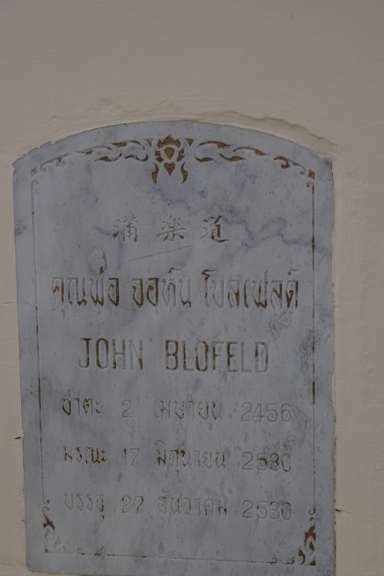 It’s a pilgrimage to pay respect to my late teacher John Blofeld. Ajarn Blofeld was a Buddhist and Taoist writer and a Buddhist practitioner who lived in Thailand for many years before his passing away in 1985. His ashes were kept at Poyen, a Chinese temple in Kanjanaburi. I got to meet Ajarn soon after my graduation with the first degree from Chulalongkorn University in 1983. Knowing him has an impact on my life and my work related to Tibetan Buddhism. So when Matteo asked whether I knew where his ashes were kept, I was delighted to find someone who knew about him. 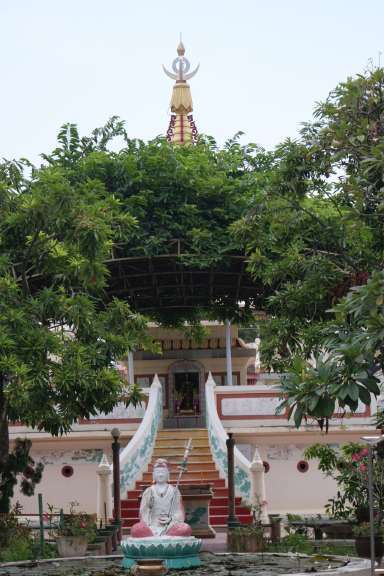 His ashes are kept at one of the little stupas at the back. 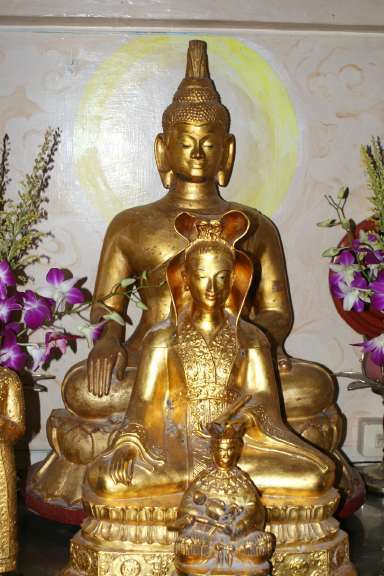 Poyen has some connection with Vajrayan Buddhism when Venerable Ajarn Pojaeng was alive. We still see Tibetan mantras on doors and walls. 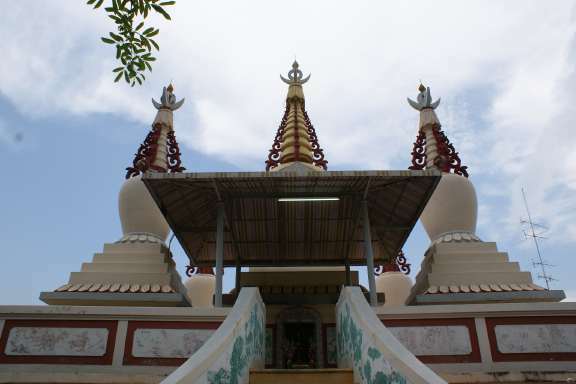 The temple is a legacy of Vajrayana seeds in Thailand. 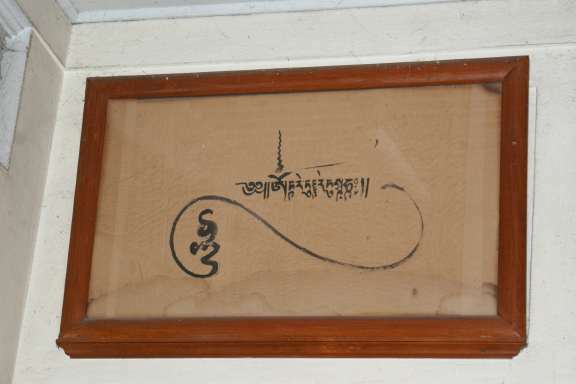 Tara mantra calligraphy at Poyen. We met the abbot and I presented him information about Thousand Stars Foundation and our great project of building Shanti Tara Maha Stupa. He rejoiced in the project and kindly prayed for its success. The abbot is reading about Shanti Tara Maha Stupa.